Now that Summer's over (what a delightful one and a half days that was!) and we're getting into Fall, it's time to stop sipping on your BL Lime Strawberitas and get into some Autumn brews. To that end, we've rounded up the Fall brew recommendations of five SF beer luminaries well-versed in the language of suds/English. 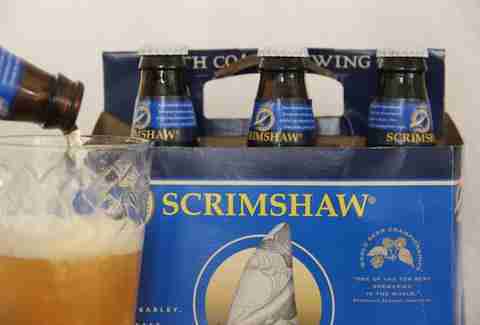 Stuart says: "Quintessentially drinkable for nearly all occasions, Scrimshaw is perfect whether you want a session beer on a nice day or just something to drink with a meal. Sometimes pilsners can be a bit bitter, but Scrimshaw never is. North Coast really outdid themselves with this one. Hell, I'm in my underwear drinking one right now." 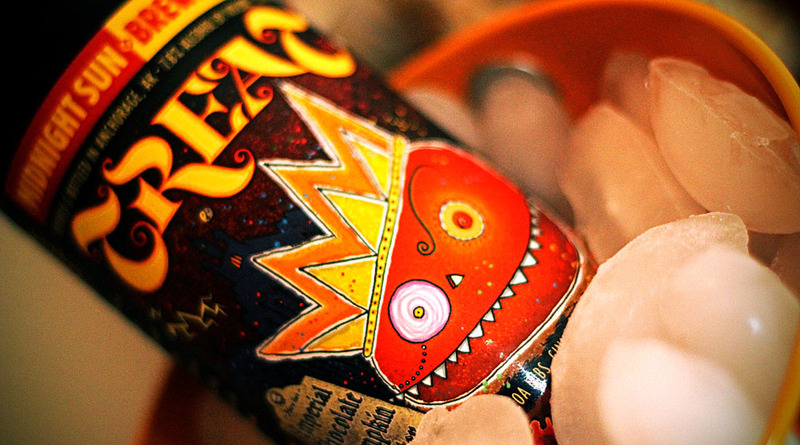 Stuart says: "Getting totally twisted on beer never tasted so good. Thick and rich, Old Rasputin packs a 9% ABV without having that weird after taste that some strong beers leave you with. 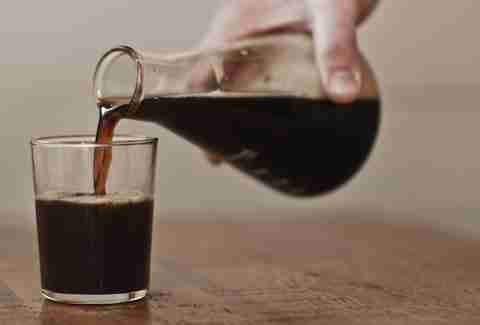 Plus, it gives you a buzz that makes you feel almost as hard to kill as old Rasputin himself. This may not necessarily be a good thing, but we'll let the SFPD be the judge of that." Taylor says: "Kent Lake Kolsch is from Iron Springs Brewery in Fairfax, and is perfectly balanced -- mellow hops, biscuity malt flavored, and super-refreshing. Perfect for San Francisco's Indian Summer." Taylor says: "During Fall I crave a nice saison-style beer. Saisons were originally brewed in France as a thirst-quenching pick-me-up for the field hands working the harvest. Lost Abbey brewery down in San Marcos makes a killer farmhouse ale called Red Barn that strikes the perfect balance between complex and refreshing." 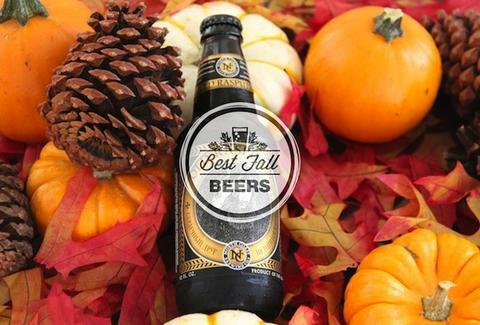 Kevin says: "I always spend Fall looking for a great Oktobfest beer and a delicious pumpkin ale. I typically taste around 5-6 different types of each before deciding on which to pick up... I know, this part is always the hardest! This year I actually went with Sam Adam's Octoberfest. Sam Adam's has been working hard recently to get into the craft beer scene and they've stepped up their offerings. 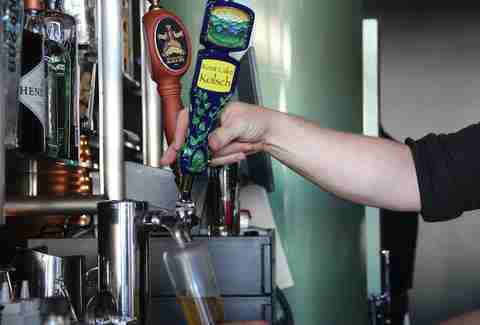 I know it's a big name in the beer biz, but their Octoberfest is really awesome on draft; very seasonal." Kevin says: "Pumpkin ales are always a fickle bunch, where the pumpkin flavor can either get lost in all the spices they put in the beer or it tastes artificial. I've always really enjoyed Shipyard Pumpkin Ale, which is why I purchased 30 cases upfront. That, and we do an awesome beer cocktail fizz with it." Anna says: "Pacific Brewing Labs' Squid Ink IPA is my go-to when you want a dark beer but don't want the maltiness of a stout and porter. 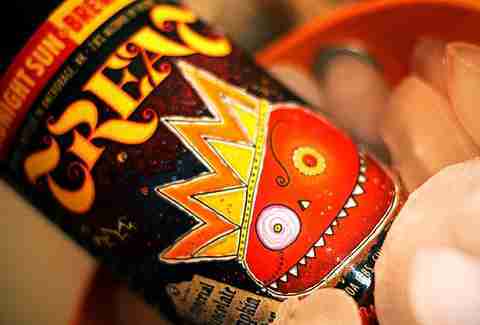 It's got all the richness of a dark beer with all the hoppiness (and high ABV) that comes with an IPA." Anna says: "For brown ales, I like Anchor Steam's Brekle's Brown, all caramel-y and malty but it's still light. Recommended for park consumption, as you sit and watch the leaves change and contemplate the changing seasons/general transience of life." Anna says: "Mikkeller's Black 2011... what they call a 'daring & vulgar imperial stout'. It's more like a fortified wine than a beer. It's strong, but still easy sipping, and at a staggering 18% ABV, a great distraction from the fact that it's getting colder and darker with every passing day (sob)." Christian says: "Both are not super-hard to get at bottle shops that carry craft beer -- Autumn Maple is probably more accessible." Christian says: "The Fall is the time of year is when the wet hop beers come out (with the hop harvest), so it's well-timed to bring them to the table. A local favorite is Moonlight's Homegrown (that mimics well the other definition of "Homegrown"); a more well-distributed one is from Deschutes, Hop Trip." Christian says: "There's a reason that we have a fairly extensive list of farmhouse ales at both places, but at Abbot's in particular -- they are great food beers. And now a lot of brewers are doing them well -- in the US in particular. 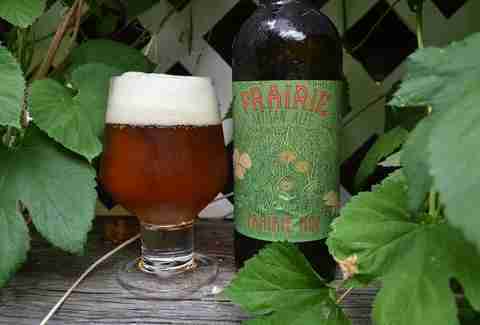 We are in love with the portfolio from Prairie Ales: Prairie Hop in particular would work very well at a Thanksgiving table."